What is an Accountant Manager? 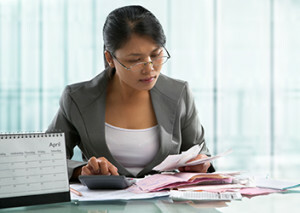 What is the Role of the Accounting Manager? The primary role of the manager is to oversee all of the financial reporting duties in an organization. To ensure that reporting is accurate, manager will develop principles with the CFO and monitor to department to ensure the right procedures are maintained. It is the manager’s job to collaborate with department heads throughout the organization to discuss budgets and expense cuts. They also work very closely with the controller and the director of finance to look for workflow improvements and to discuss new projects. What is the Outlook for Accounting Managers? If you would like to land a position in management, you will need to compete with others just like you. According to the Bureau of Labor Statistics, the market for accountants is projected to grow by 11% in the next 8 years, but the growth for managers is just at 7%. Since there is less growth for management personnel, you are expected to meet high expectations when it comes to your education level and your experience. This will help you compete in an occupation where outlook is average. You will need to possess a college degree, technical skills and experience before you can apply for open management positions. Typically, an employer will prefer that candidates have a B.A. or B.S. degree majoring in Accounting or Finance. Be sure that you earn your degree from a school that is accredited and recognized by the Association to Advance Collegiate Schools of Business. In addition to your undergraduate degree, most employers will only considers managers who already have earned their CPA license. Since new requirements state that you need extra credits to qualify for your license, you may need to take some graduate-level finance courses before pursuing a management role. You will also be required to prove you have five to seven years of supervisory experience in a finance setting before you can climb up the ranks. How Much Can You Earn as an Accountant Manager? Salaries in management range from $81,197 to $104,463, according to Salary.com. The average manager in the U.S. is currently earning around $91,896 per year with benefits. This figure can change based on your level of experience, your education level, the size of the company, and the region that you work in. If you want to manage the general accounting functions within an organization, consider pursuing your CPA license so that you can compete for open positions. Look for accredited programs that you can attend online and then decide if you want to learn in the classroom or at your own pace. After you have settled on the educational path you will take, you will be one step closer to becoming an accountant manager.